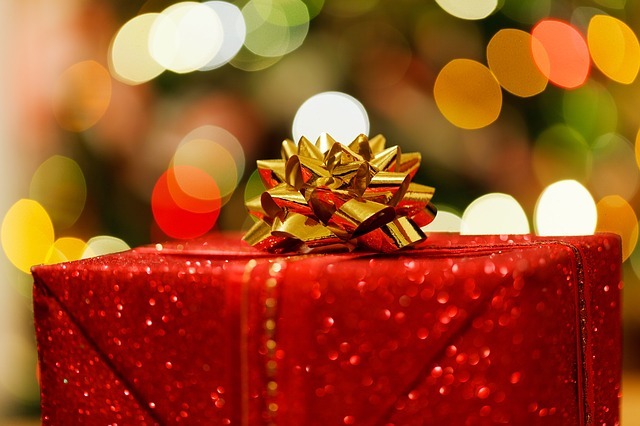 It’s gift giving season and now you can give two gifts at one time. Radical self care, the present that never goes out of style! If you’re inclined to give some presents to people you love, coworkers or even yourself this season, I am offering you a chance to AMPLIFY your generosity. For every gift certificate that is purchased between now and 1/1/18, I will donate a one hour massage to be given to a low/no income community member. Buying a GC is super easy, just go to my website – http://debmalkin.com/gift-certificates/ and follow the directions. I’ll send you an email with a gift certificate that can be printed out or emailed to the gift receiver. 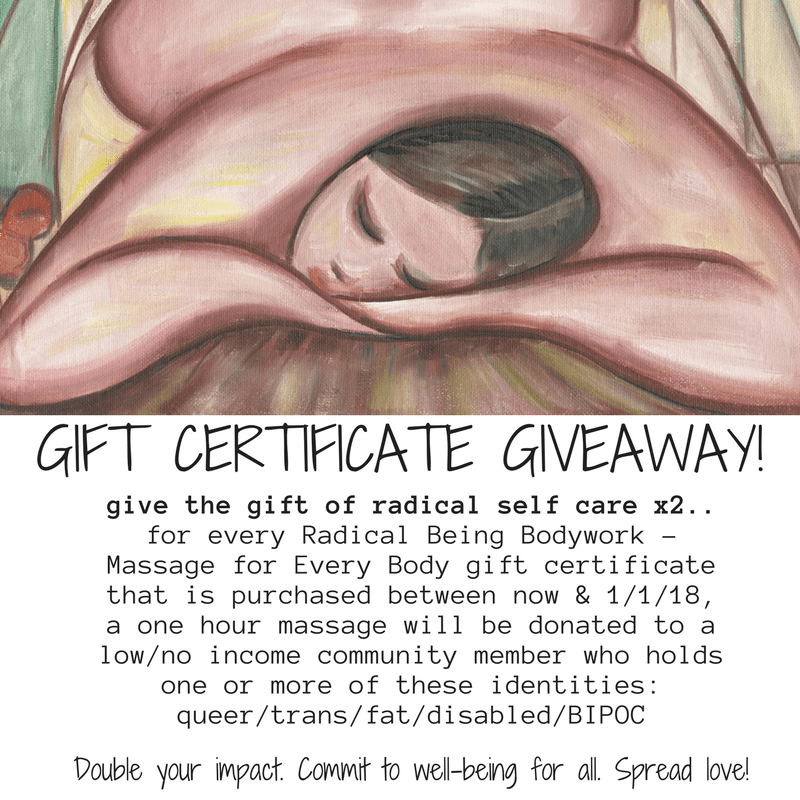 And if you weren’t aware, my practice is body affirming especially for fat/queer/trans/disabled folks, scent free and my Berkeley location is wheelchair accessible (Oakland has one step).